Welcome to Piglette's guide to rose meanings. Roses have different meanings depending on their color. You can discover the meaning and significance of rose colors here, and can also find some interesting facts, mythology and folklore about roses on these pages too. Clicking on the rose pictures or underlined text will take you to the pages dedicated to the particular colored roses where you can find out more interesting facts and information, and can also buy the roses online. Red roses convey love and respect. They also symbolize courage. A dozen red roses are the ultimate symbol of love from the heart. Yellow roses mean joy and friendship. They also stand for happiness, hope and freedom. 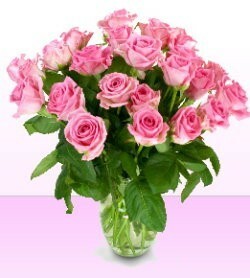 Peach roses are perfect gifts to show gratitude and appreciation. In addition they can also be used to convey admiration or sympathy. White roses symbolize innocence, purity, reverence and humility. They can mean secrecy and silence and convey a sacred feeling. Pink roses often have a similar meaning to peach roses. They can say " Thank you " or can convey admiration or sympathy. In addition they mean grace, gentility, joy and perfect happiness. Multi colored roses can be used to convey a wide range of emotions. These are a good gift idea if you are not sure what to say, as these flowers say it all! Piglette's Flowers and Gifts constantly strives to bring you the very best gift ideas. As well as flower bouquets we also feature great bonsai trees, a fine range of jewelry and many more gift ideas. Please bookmark Piglette's Flowers and Gifts online flower shop for all your future flowers, jewelry, chocolates and more quality gifts available to buy straight from the internet at fabulous prices. We hope to serve you well for many years to come. Click on the Piglette's Fractal Universe button above for a menu of Piglette's site, including Piglette's colorful fractal art, or click on the home button below for Piglette's home page.